Do you have a marble floor? Are you looking to have it polished, or to even polish it on your own? If so, then you’ve come to the right place. There is no doubt that marble floors bring a certain elegance to every home and business. That being said, there are some very common problems with owning a marble floor. These complications include staining, water rings, and a gradual loss of shine. If you want to prevent your floor from succomming to daily wear and tear, then you should consider polishing your marble floor. Below, you can read about everything you should know before you start to polish your marble. If you want to save time polishing your marble, or if you want to reduce the frequency of polishing, then you should invest in a carpet or rug to protect your floor throughout the day. Main entrance areas/ walkways/ and kitchen floors are normally high damage areas and a good carpet can go a long way to prevent the damage from happening in the first place thus reducing the need to polish. Tip #2: Dust the floor regularly using microfibre mops or vacuum with brush head. The prolong the shine and condition of the marble, it should be dusted as often as possible so that there is no dust build up. When dust build up, it can trap sand and dirt particles which can lead to floor scratching when stepped on. You will find that even clean looking floors will produce a lot of dust if mircofibre mops are used. Also, using PH neutral chemicals to wet mop the floor is recommended but dry mopping should be carried out before wet mopping. This is because wet mopping alone cannot capture all the dust and will push the dust into grouts and corners. Like we said before, marble often loses its shine over time. While at first this might not seem like a big deal, you’ll find yourself at a loss when something is dropped on your floor and you’re left with a giant, ugly stain. Even if you polish your floor, this won’t necessarily make it as glossy as you want or as protected as you expect. You should combine the polishing with a sealer, because then you’ll know for certain that your floor is at its best. Although doing it on your own can save you money, you might not have enough time and you might not have the confidence to do it. Luckily, you also have the option of calling in a professional or a team of experts. This way, you can carry on with your daily life while your flooring is being polished and cared for. You should be aware, though, that it might cost you more money because you’ll have to pay for the professionals’ time, as well as the equipment being used. 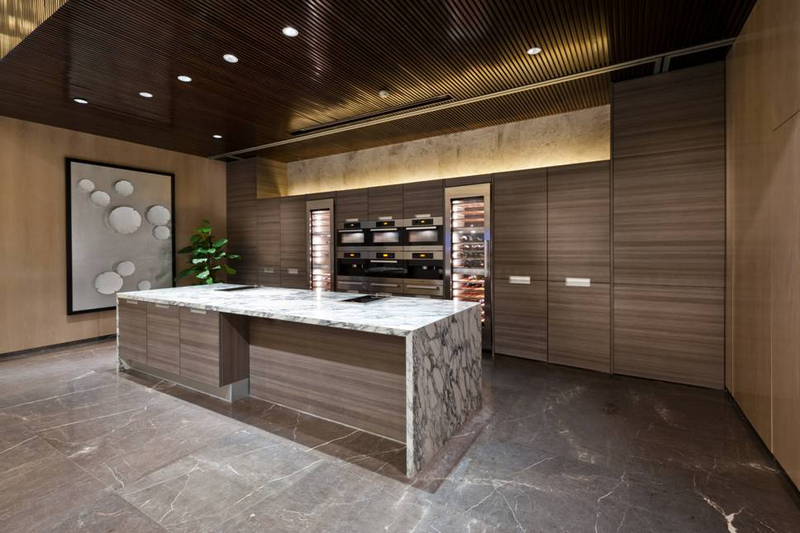 When you decide to pick a company, you should make sure that they have experience in polishing marble stone , as well as a portfolio to show you their previous work. If they don’t have these things, then they may not be trustworthy. Marble flooring is one of the most beautiful features that you can pick for your home. That said, it comes with its own disadvantages. IT can lose its shine, yellow, and stain easily when it isn’t being polished often enough or properly. That’s why we’ve compiled a list of the best tips for you to know before you polish your marble floor.